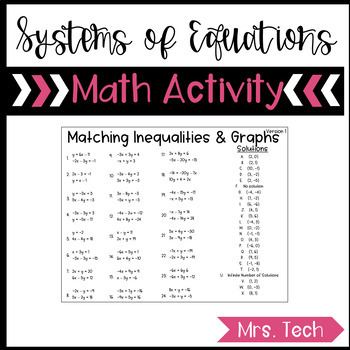 This is a matching activity that has students solve systems of equations and match their answer to the problem. 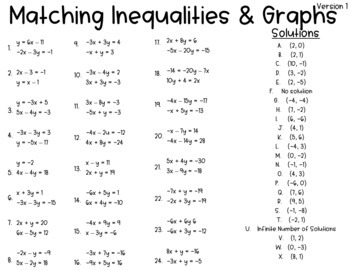 There are 2 different versions of matching activities included with the same problems in a different order. This can be used for early finishers, tutoring, around the world, enrichment, reinforcement, or math centers.